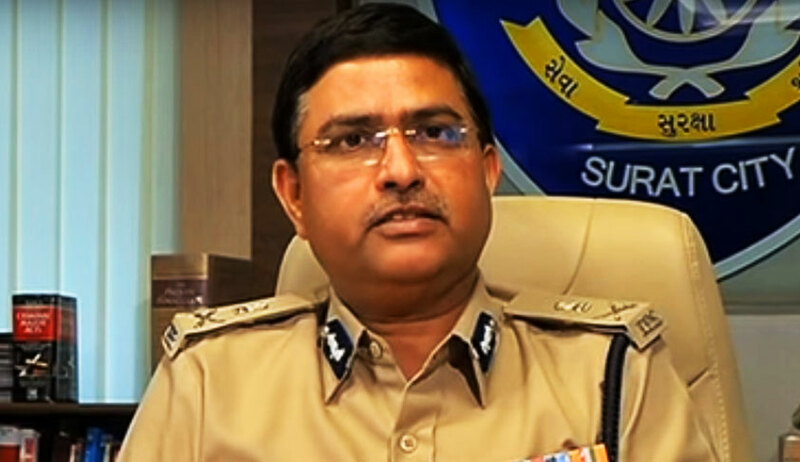 After Supreme Court Justice Navin Sinha recused himself from the matter at the previous hearing on Monday, the writ petition challenging the appointment of Gujarat Cadre IPS officer Rakesh Asthana as CBI Special Director was on Friday listed before the division bench of Justice RK Agrawal and Justice AM Sapre. The writ petition, filed by the NGO Common Cause, after being registered on November 7, was priorly listed on Monday before the bench of Justice Rajan Gogoi and Justice Navin Sinha, which issued the order directing listing of the matter before an appropriate bench not comprising Justice Sinha. No reasons were assigned for his recusal by Justice Sinha. On August 30, the CBI’s Delhi unit had registered a FIR against certain public servants under the Prevention of Corruption Act of 1988 for allegedly accepting bribes from Gujarat-based Sterling Biotech and Sandesara Group of Companies in connection with the charge against the companies for cheating public sector banks of Rs. 5,383 crores. The present petition seeks the quashing of the cabinet committee order dated October 22, appointing Asthana as the Special Director, CBI, on account of the seizure of one ‘Diary of 2011’ in a 2011 income tax raid on the premises of the said companies. The diary, containing the details of monthly payouts made to several income tax and police officials and politicians in Gujarat and Delhi, also mentions the name of the respondent, the then Commissioner of Police of Surat. The petition, filed through advocate Prashant Bhushan, questions the appointment enforced by the Appointments Committee of the Cabinet, citing the judgment of the apex court in the Vineet Narain case [(1998) 1 SCC 226], in so much as it provides for appointments up to the post of Joint Director, CBI, to be determined by the Central Vigilance Commissioner, the Home Secretary and the Director, CBI. In the light of the objections raised to the respondent’s appointment by the CBI Director, Alok Verma, the petition further quotes the provisions of Section 4C of the Delhi Special Police Establishment Act of 1946, which require the inputs of the director, CBI, regarding such appointments to be mandatorily considered. In addition to the cancellation of the appointment, the petition also seeks the transfer of the respondent out of the CBI during the pendency of the investigation pertaining to the said FIR. On Friday, the Supreme Court bench of Justice RK Agrawal and Justice AM Sapre, on a request made in this behalf, granted Bhushan one week’s time for filing additional documents in support of the contentions in the present petition. The matter is next scheduled for further hearing on November 24.